They spent more on these titles than on the dubbing. There’s nothing like box office success to spawn pale imitations, and Jaws is one of the most imitated films since Gaslight . 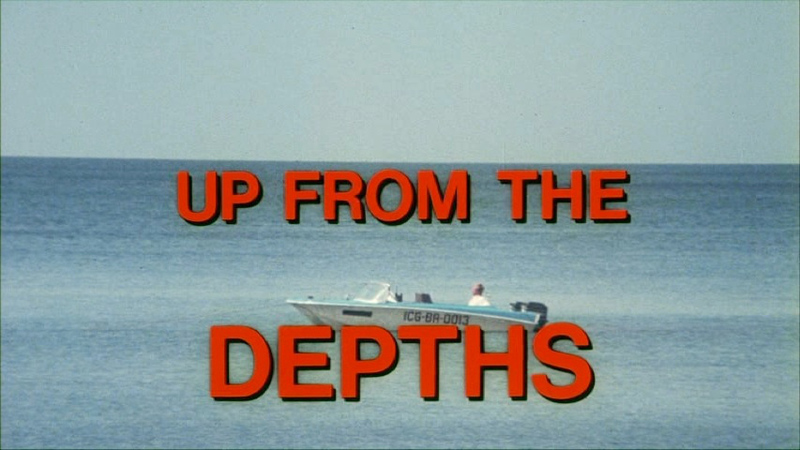 Roger Corman probably produced about a third of them, but few are as terrible as Up From the Depths . A story has it that the script and soundtrack were lost, necessitating a reconstruction based on memory and lip-reading. I can certainly believe the actors storing their copies in the circular file after filming, but it seems far-fetched that none were available. Maybe revision pages. Anyway, the story would account for the terrible dialog and often lamentable dubbing. Up From the Depths doesn’t even pretend to be anything other than a ripoff. 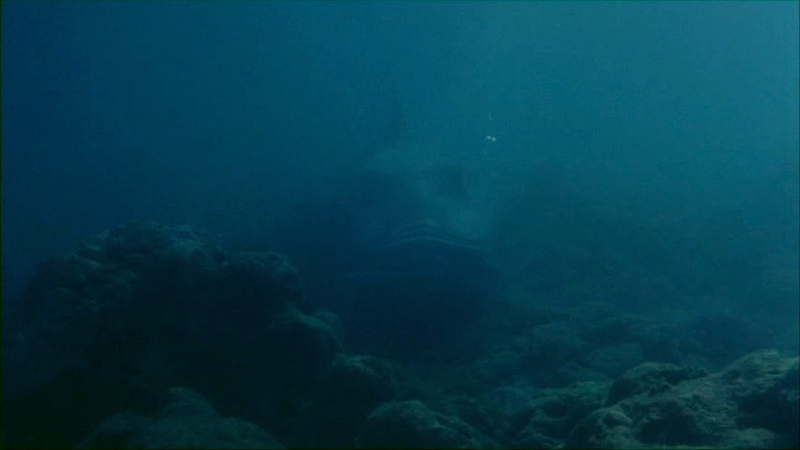 The monster is basically a shark, just one that’s supposed to be in the deep sea. A lot of other deep water fish are turning up near the beach, but the movie is completely uninterested in giving a reason for that. Researcher Tom (Charles Howerton) was briefly curious until the unshark arrived. Now, even though the creature ate his assistant/girlfriend, all he wants to do is study the monstrous fish. There is no festival to threaten with cancellation, but there is a bounty placed on the unshark by the manager of a hotel. In Jaws this led to people putting themselves in danger, mass confusion, and a lot of innocent sharks being slaughtered. Here, it’s just one of far too many excuses for “Hijinks and Hilarity”. A Japanese tourist puts on a towel that’s might be supposed to represent a sumo loincloth, grabs a sword, and marches off to the beach. A couple of people put on full diving gear in their room and walk backwards all the way to the beach because flippers. Hi-LARIOUS! Terrible comedy is my kryptonite, and this movie nearly finished me off. They wisely keep the abyssal unshark in murky shots. Credit where it’s due, the giant fish prop isn’t bad. We don’t see a lot of it, but the sight of multiple fins slicing through the water is effective and the brief glimpses of the unshark underwater are good enough to give an idea of what the cast is facing. Don’t expect any attack footage, though. It’s strictly lead up, bloody water, and aftermath. That’s probably for the best. There’s no telling how much damage the prop would have sustained in a full-contact scene. I found it difficult to watch this movie. I’m not saying that it was offensive (other than the toxic attempts at humor), or that it made me tense. I kept becoming engrossed in anything else at hand — cats, Twitter, blowing my nose — because the film actively repelled my interest. Once I looked away during an interminable underwater scene, and when I looked back a character had died. I back up to see what I had missed only to find that all there had been was a quick shot of blood in the water. I shrugged and went back to rubbing my cat’s ears.